in building a strong and successful country. It goes without saying that buying a home – whether it’s your first home or not – is one of the most exciting purchases	you’re ever going to make. But it’s probably also going to be one of the most important investment decisions you make in	your life, one that requires a great deal of thought. Buying a home is different to nearly all the other purchases we make – you don’t buy a home every day, and there are things	that you need to be aware of when going through the process of purchasing a property. Your price range – your monthly budget and what you can afford. Your ideal neighbourhood. What other areas would you be happy to live in? Would you prefer a free-standing house or the additional gated security of a complex? The number of bedrooms/bathrooms you require. Are you prepared to renovate? Most importantly, buyers shouldn’t overextend themselves. That means not going for the maximum possible bond that they qualify for, because economic conditions could always change for the worse at any given time, leading to finances that they wouldn’t be able to manage. Interest rates will eventually rise again and it is important to allow some leeway for mortgage movement. It’s vital to have some kind of financial buffer – be it savings or investments – that can be accessed in the event of emergencies that could cause you to miss your mortgage payments. Generally, spending about 30% of your income on a home loan repayment is considered reasonably affordable. Critically, secure the lowest interest rate possible. “People tend to accept that their bonds require a monthly payment, which they have no way of influencing. In fact, there are many things that you can do that may alter the amount of interest you end up paying and the term of your repayments,” says Kay Geldenhuys, property finance processing manager at bond originator Ooba. She says many buyers hurry to accept a bond from the bank that offers them the biggest loan, with less regard to the interest rate. Securing a lower interest rate will save you a great deal of money long term. Why investing in the affordable property market is a good MOVE. Multi Spectrum Property (MSP) was launched by CEO Riaan Roos in 2002, and since then he has created homes for nearly 30 000 families. He has advice on investing in the affordable property market: “Those looking to buy their first property and to get onto the property ladder in the affordable market cannot go wrong by buying from a company with a good name and strong track record. 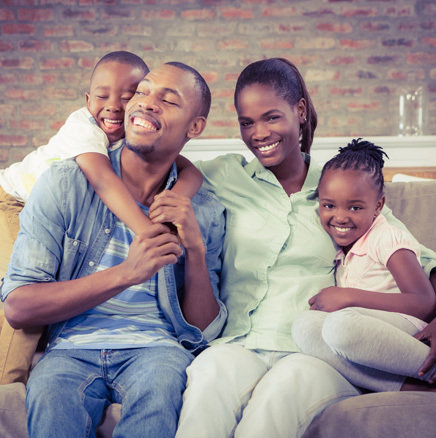 “There are many millions of people in South Africa that still need to take their first step into property, and most will be looking at the affordable market priced between R350 000 and R650 000. We know that savvy young professionals are the driving force behind the affordable housing market, with family buyers also playing a role. Our advice is that there is never a wrong time to invest in property if you buy from an accredited source. 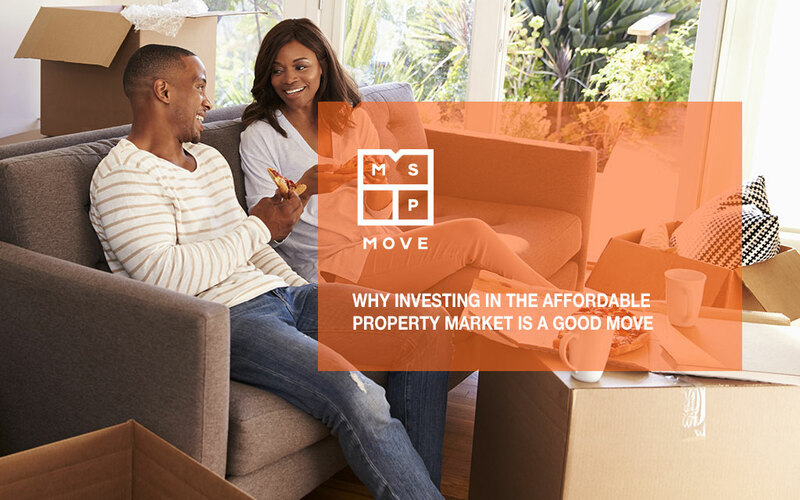 The affordable market offers you the opportunity to get into the property market and start growing the value of your investment. “Make sure that the development company is registered with the National Home Builders Registration Council (NHBRC) and has actual showhouses that you can go and see to assess the quality of the workmanship and finishes. Make sure you are getting good value and good quality. Don’t buy cheaper from a questionable source – you are sure to have lots of problems down the line. The bottom line is – do your homework! “MSP has many affordable developments on offer, mainly in Gauteng. For example, in Pretoria we have Kirkney Village, Orchards and Glenway Estate. Located only 10km from Pretoria’s CBD, Kirkney Village and Kirkney Estate is becoming a very popular suburb in Pretoria West and is ideal for individuals that work in Pretoria CBD, Pretoria North, and even Soshanguve or Hartbeespoort Dam. Kirkney is growing rapidly with new extensions launching soon, as well as a private school that just opened this year. Freestanding, individually walled homes with two bedrooms, one bathroom and a carport are available in Kirkney Estate from R689 900. Another option if you need time to get your finances in order is to rent a home in the estate for a year or two at R5500 per month and buy there later. Orchards is situated in Pretoria North and offers freestanding homes with individually walled gardens from only R679 900. “Glenway Estate is on the North Eastern side of Pretoria in Mamelodi. This quiet, suburban environment is the ideal neighbourhood for couples, families, and single people, with homes priced from R519 900. “In all cases to apply, you will need the 3 months’ proof of income, a clear copy of your ID and a completed Expression of Interest in order for the sales team to assess your affordability and submit your deal to the bank for a home loan. The prices include VAT, transfer fees and bond registration fees. “Property prices increase every year, which means that the sooner you buy, the sooner you can benefit from growth in the value of your investment. Our figures for Orchards, Kirkney Village and Glenway Estate show that a home bought in Orchards in 2014 for R395 000 is now worth R679 900 – an incredible growth of 72.13%. “A home bought in Kirkney Village in 2014 for R495 000 is now worth R619 900, which is 25.23% growth. In Glenway Estate a home bought for R476 000 just 2 years ago when this development started is now worth R579 900 – growth of 21.80%. Becoming a homeowner comes with a lot of responsibility, but also a lot of rewards. When you subtract the amount you owe on your home loan from the total value of your house, the amount left over is your home equity-the “dollar” value of your home that actually belongs to you. Owning a home can reduce the amount you pay in income taxes each year. Your mortgage interest and property tax payments may be deductible from your federal taxes, as well as many state taxes. When you buy a home and consistently make your monthly loan payments on time, it demonstrates to other lenders that you are a good borrower and the risk of you defaulting on a loan is low. Homeownership offers tremendous freedom to create the living environment that you have always wanted. You can own pets, paint rooms whatever color you like, make changes to floors and carpeting and do all the things that make a house your home.